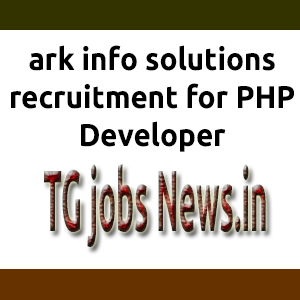 ark info solutions careers : Ark info Solutions was founded in 2012.it is leading added distributor for technology products in India.ark info solutions want to hire for the position for PHP Developer interview at Nodia. Application Design, Code Development, Testing and Deployment and Maintenance. Good Work in all phases of the development lifecycle. Good Explore in MYSQL, JQuery, Ajax. Nearest Metro Station: Sector -16.